We are one of the renowned manufacturer, supplier and trader of Veterinary Pharmaceutical Syrup. 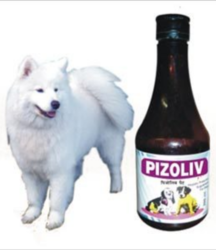 Customers can avail Pizoliv Syrup and Petcal Veterinary Syrup from this category of products. This range of syrups is formulated with pure ingredients and latest processes. 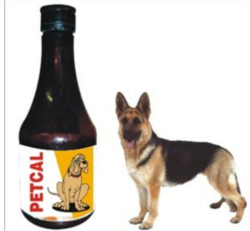 Our syrups are widely used for treating various diseases of animals. We are assisted by an expert team of doctors and quality controllers which check the standard and effectiveness of the syrups before the final delivery. Our company has been acknowledged in offering Puppy Veterinary Syrup to the clients. We offer the top series of Dogs Veterinary Syrup for our valued customers. Looking for Pet Syrups ?